At Northeast NDT, Inc., we offer a wide variety of services and have the experience, skill and expertise to handle any job with precision and efficiency. As always, we are committed to ensuring complete customer satisfaction on every job we undertake and we work hard to achieve this goal. The proof, they say, is in the pudding, or in this case in the quality to the results we provide our customers. Call today and let us prove ourselves to you. Repair and Calibration of Rohmann brand eddy current equipment. 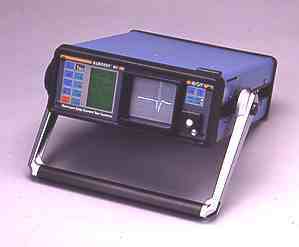 Repair and Calibration of Foerester Defectometer. Eddy Current Equipment Sales / Leasing. Pre-Owned Equipment Sales - Warranty & Calibration Certificate.